In the event of a labor strike, it is important that both H-1B employees and employers understand their respective rights and responsibilities. Generally speaking, in order to maintain valid H-1B status in the United States, an H-1B employee is required to remain employed with her H-1B employer, under the terms set forth in the H-1B petition. In the absence of a strike, a failure to remain employed can be considered a violation of H-1B status. However, in the event of a strike, an employee currently employed in valid H-1B status will not be considered in violation her H-1B status if she chooses to participate in a strike. Critically, the H-1B employee may not otherwise violate her H-1B status, for example by engaging in employment with other employers during the strike. An employer sponsoring H-1B Specialty Occupation Workers makes certain representations and attestations to two federal agencies: The Department of Labor (DOL) and the Department of Homeland Security (DHS). In the event of a strike or lockout, an H-1B employer is obligated to notify the DOL of the strike. Each H-1B Petition that is filed with the DHS must include a Labor Condition Application (LCA) that has been certified by the DOL for the three-year H-1B period. With the filing each LCA, the employer confirms that there is no strike or lockout in the same occupational classification and in the area of employment. Because the employer must confirm that there is no strike or lockout at the time of the filing of the LCA with the DOL, an employer cannot file new LCAs to support new H-1B petitions during a labor strike. In the event of a labor strike, for all employees that are currently in H-1B status (and therefore under a certified LCA) the employer is required to notify the DOL in writing of the strike within three (3) business days. A failure by the employer to timely notify DOL of a strike may result in monetary sanctions for each violation. Once the DOL has been notified of the strike, it may choose to consult with the relevant Labor Union, and may also inform the DHS of the strike. Upon receiving notice from DOL of a strike, DHS may choose to deny H-1B petitions that are currently pending before the agency. DHS may also choose to deny admission to individuals seeking to enter the USA from abroad on an H-1B visa. Critically however, employees who are already working on approved H-1B status cannot have their H-1B status revoked by DHS simply because there is a labor strike. 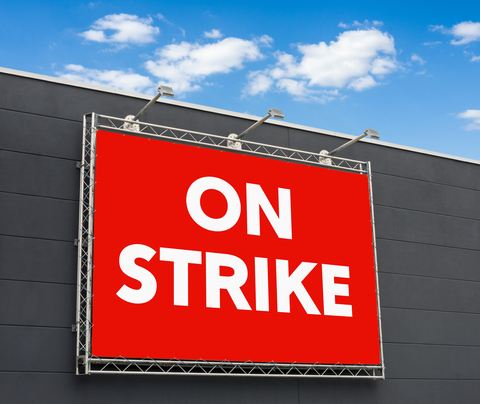 We understand that labor strikes can be challenging for employers and employees alike.